Independant producers, we share our expertise to support other people's projects and businesses. We use the best equipments and our know-how to create amazing running videos. From 10K to ultras, we produce immersive quality videos. Focus on your race, we take care of videos. Immersive videos close to mid-pack runners. We can either follow the race leader for a more formal video or get into the field of runners to cover the race and create a more immersive content. If you don’t know what is best for you, contact us so that we can help you to decide. Speed workout, exchanges between participants, key speakers,… Put in light the best of your running camp. Product testing, organised run or a strong community? Show the best of your shop. People want to know what makes your shop unique. Your new arrivals need to be tried out for your customers. Present your running community and training events. Show all your brand events, running expo and key note speakers. Reach out to more people and get your shop recongnitions on social medias. Take the opportunity to show your work. We will follow you in remote places from shores to mountain tops for days and by any weather. We travel were your project is. From 1 to 15 days, we get you non-stop video coverage. FKT, 200K mountain traverse,… your adventure needs its video. We support you in emergency and provide a GPS safety tracker. We followed a 220km D+13000m Savoie crossing 24/24h for 3 days. We plan each year 50-days expedition-like trip. We are used to un-common projects. After receiving a description of your wild adventure, we will follow up with a very detailled study of the feasability of the video. Study includes safety routes and detailled cartography. It is only after analysis that we will tell you if we can do it. As our safety and your safety is the main point of concern, feel free to reach out for advise when planning your wild adventure. Describe your project and we create the video it deserve. You are working hard on your project and you realize you need a good video. We analyse your project and define how to create the video you deserve. On D-day, you take care of your project, we take care of your video. The video is yours, ready to be published and shared. We produce anywhere in Europe from sea shores to mountain tops. Usual production sessions are 2-days or 3-days weekends. Since planning is a key factor, please reach out at least 3 weeks before in France or 5 weeks in other countries. For any Wild Adventure or event about 4 days, reach out as soon as possible. We answer all request within 72hours. We work for others, are published in magazines, and are shared by running websites and bloggers. Product placement in 10+ videos across Western Europe. Running Camp video and service presentation video. Our new 2016 sponsors, with 15+ videos and product give aways. Shop event: trail running session next to Paris. 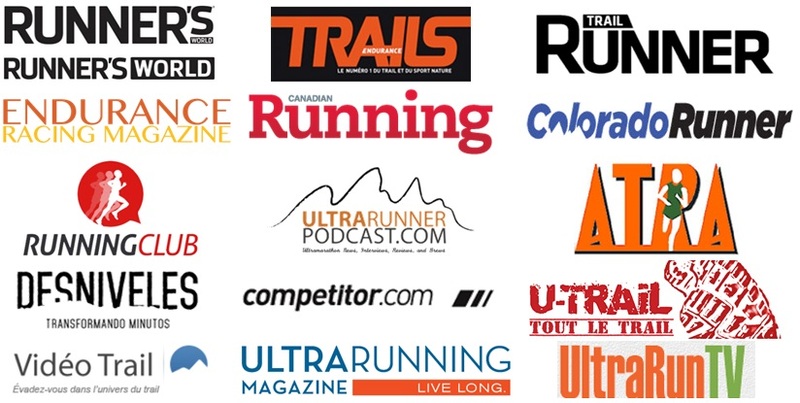 Our previous work led to publications in the top running medias in the USA, Canada and Europe. New trail running videos every Tuesday.